I absolutely love my new book cover – huge thanks to Bookouture, my amazing publishers. Honestly, I can’t praise Bookouture or my editor, Helen Jenner, enough. 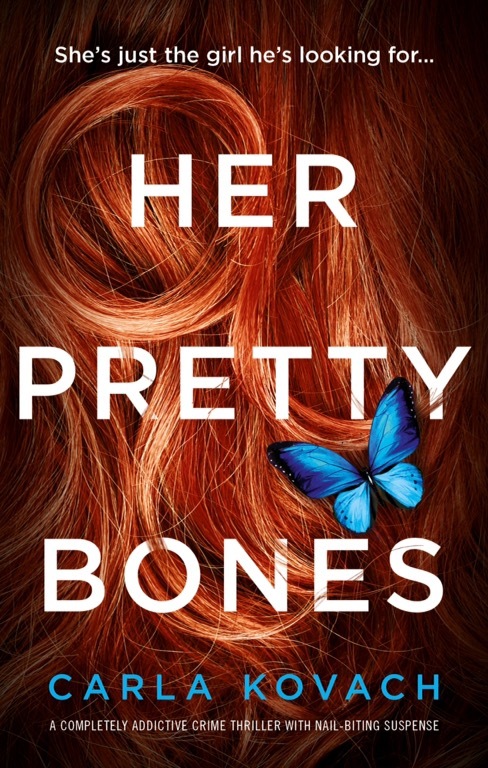 Her Pretty Bones will be released on the 17th January 2019 and I can’t wait. Gina Harte has been a part of my life for what feels like ages and I’m so pleased that people are enjoying the cases she tackles and the personal journey that I’ve created for her. I am so looking forward to the next instalment being available to you all! I must thank everyone so far who’s read, blogged about or reviewed The Next Girl and/or Her Final Hour. You rock and I’m hugely grateful! This entry was posted in Novel and tagged Bookouture, Catla Kovach, Cleevesford, Coming Soon, detective, DI Gina Harte, Her Final Hour, Her Pretty Bones, Police Procedural, Psychological thriller, Redditch, The Next Girl, Warwickshire, Worcestershire. Bookmark the permalink.